? Am I ready for the international market?
? 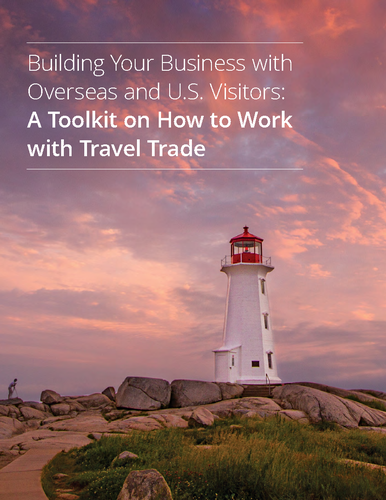 How can travel trade help build my business?
? How will travel trade change how I do business?
? Which travel trade partners should I work with?
? How do I gain new travel trade partners? Eva Gutsche, Managing Director of STEM Consulting & Marketing Inc, provides a variety of consulting and facilitation services assisting hospitality & tourism businesses in increasing performance. Eva?s hands on experience as a tourism supplier and 18 years of facilitation experience helps workshop participants relate and apply the content. Attendees to the workshop must represent tourism businesses that are TAP (Tourism Assurance Plan) compliant. If you are not or unsure of your status, please contact Nancy McGrath at nmcgrath@tgqnl.ca or 709-237-3311.